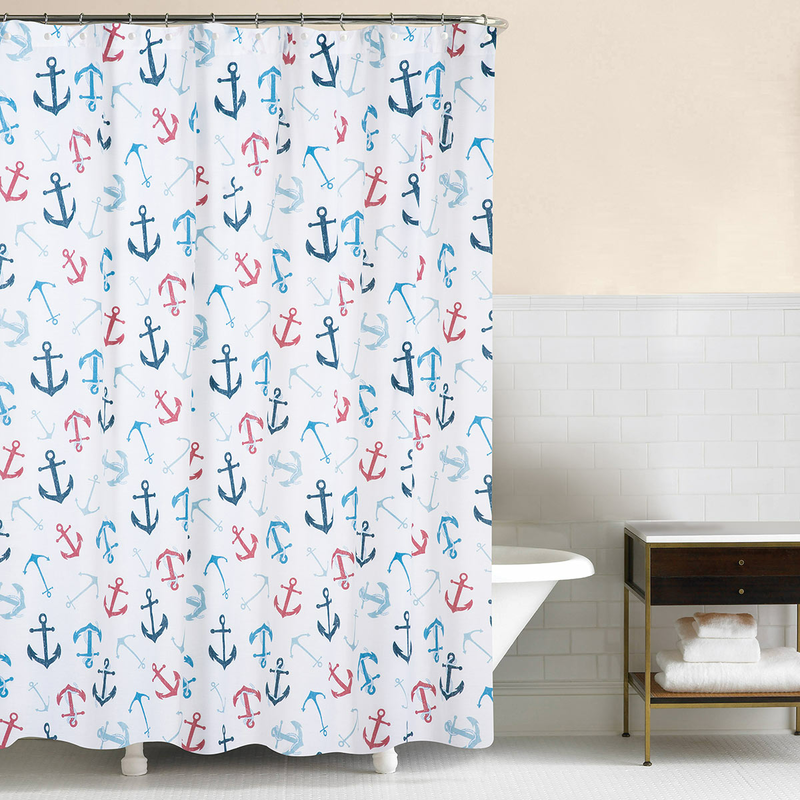 Create nautical style in your bathroom with the Anchored at Sea Shower Curtain. This beach shower curtain is enhanced with an all over anchor print in shades of blue and red on a white background. Ships from the manufacturer. Allow 1 to 2 weeks. Cannot express ship. For further offerings, we invite you to take a moment to view our entire inventory of beach shower curtains at Bella Coastal Decor today.